The Really Comfortable Rig from Hondo Garage features articulating rosette handles that let you achieve perfect balance for stable shots and all-day comfort. When you want to shoot a low-angle shot or shoot from a tripod, just pop the camera off via the quick release base. The top handle and front rods stay connected to the camera. There is no need to untangle your camera from the rig. 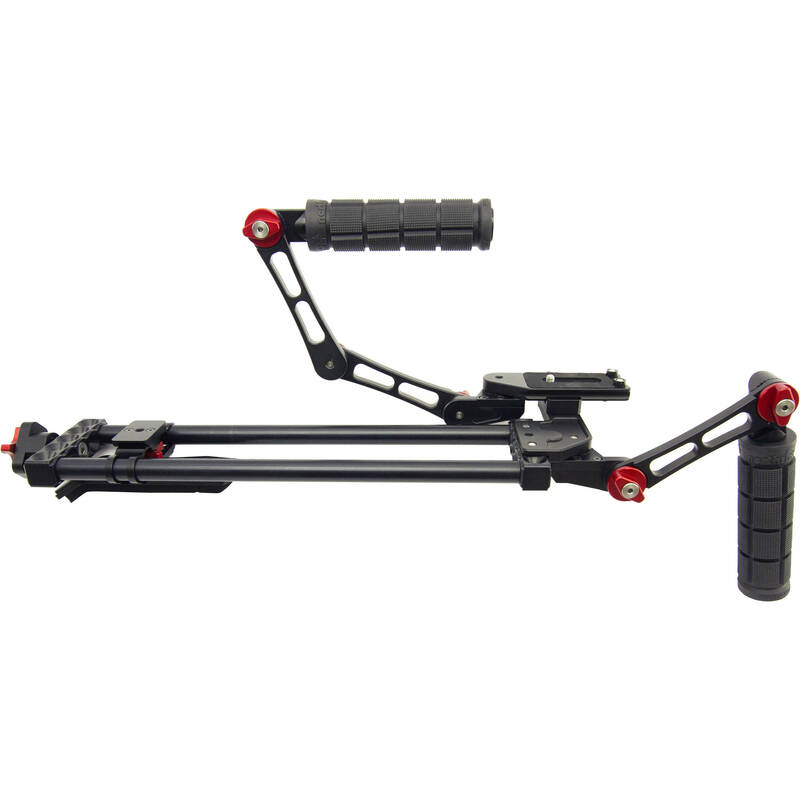 The articulating links offer maximum flexibility so that your left hand is free to adjust focus or hold other gear. Box Dimensions (LxWxH) 20.0 x 6.0 x 6.0"